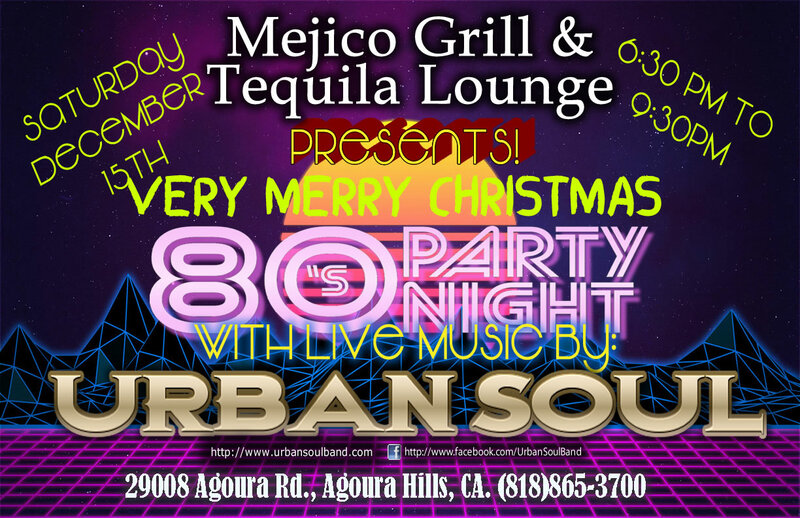 Come join Urban Soul as we celebrate a Very Merry 80's Christmas! Location: 29008 Agoura Rd. Agoura Hills, Ca.